Aston Martin Will Open Its First Showroom in Abu Dhabi! 2016 Honda Pilot vs 2016 Kia Sorento: Which Should You Buy? gulfautotradersis the best online car dealer in the United Arab Emirates, providing a large selection of car models by famous brands such as Hyundai, Mercedes, and BMW. 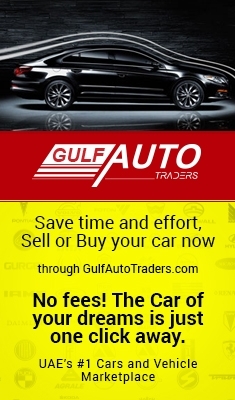 gulfautotraders UAE is the largest online vehicle marketplace and the fastest growing free classifies cars market in UAE and Dubai, Carnudi has been been designed and built specially for you to check all the available cars for sale in Dubai , Abu Dhabi and everywhere in UAE, also to make buying or selling your vehicle online as easy as possible. gulfautotradersUAE has thousands of vehicle listings from a different popular brand, where you can find new, used and affordable cars in UAE, You will find brands and models such as the Toyota Land Cruiser, Lexus LX570, and Land Rover Range Rover. The main goal of our website is to provide users with a faster transaction between car dealers and buyers by offering them innovative free and trusted online ads with a wide selection of new and used vehicles reaching millions of internet users. gulfautotraders,as one of the best car sale websites, will make your provide you with a new expierience in finidng the best quality new and used cars for sale in Dubai and UAE. So what are you waiting for, Find your New or Used Cars for Sale in Dubai, Abu Dhabi and UAE, NOW. 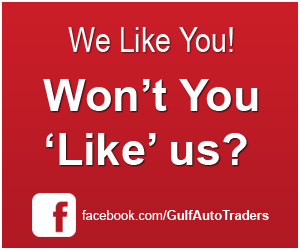 Gulf Auto Traders is a car portal that aims to provide all information that you need to know more about a specific car. This starts from the most commonly used cars to the super fast cars. Are you ready to a super fast yet satisfying experience of exploring and staying at our site!